President-elect Donald Trump will swear in as president on a Bible used by Abraham Lincoln during his first inauguration as president. 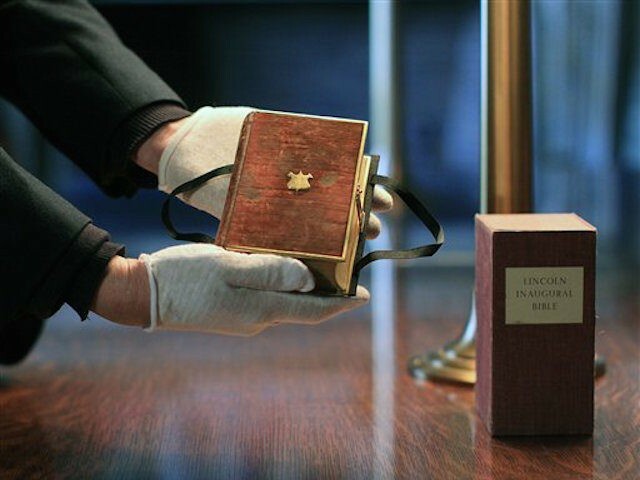 The Lincoln Bible is currently part of the Library of Congress collection and was used by Obama to swear in as president after the 2008 and 2012 elections. Only Obama and Lincoln have used that copy of the Bible to swear the oath of office. According to a statement from the Inauguration committee, Trump will also use his family Bible that was given to him by his mother after he graduated from Sunday Church Primary School at First Presbyterian Church in 1955. Obama also used two Bibles, the second being a Bible owned by Martin Luther King Jr.
PoliticsAbraham LincolnBarack ObamaBibleDonald TrumpMartin Luther King Jr.